New 2019 editions just released. What’s new and how to upgrade. Businesses small to large and individuals like yourself in every industry have been using Proposal Kit to create their business proposals, quotes, plans and contracts for over 20 years. Order now, download and get started in minutes. No ongoing subscription fees. Free support is included. Works on your local computer, network or cloud. 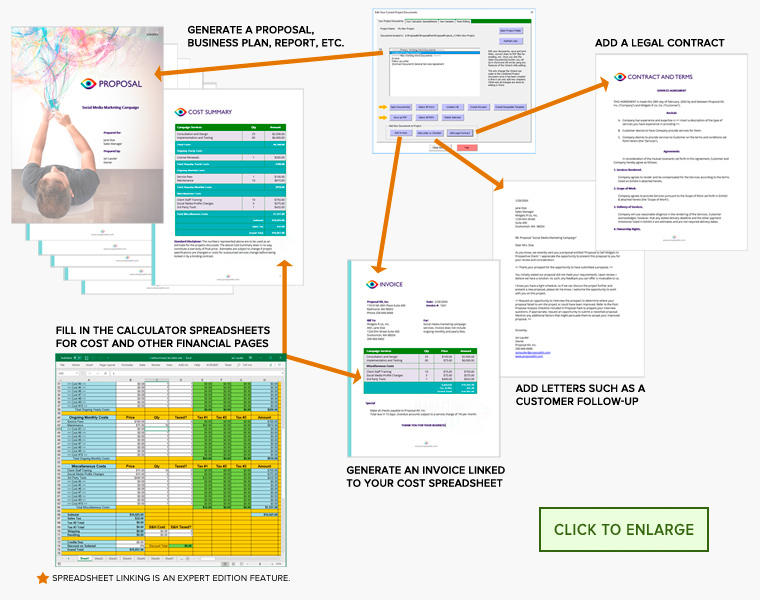 With Proposal Kit Professional you get a bundle of 20 products with business proposals, contracts, proposal examples, project management, estimating and Expert Edition proposal software. Thank you!! Everyone at our national headquarters (Kinko's, too) wanted to know "who" did the business proposal layout. I told them proposalkit.com! I don't know what I would have done without Proposal Kit." We've been successfully using Proposal Kit Professional for years to draft winning proposals, build agreements, and produce contracts. The easy to use templates provide a solid foundation for building winning, professional proposals that leave our clients excited to work with our agency." 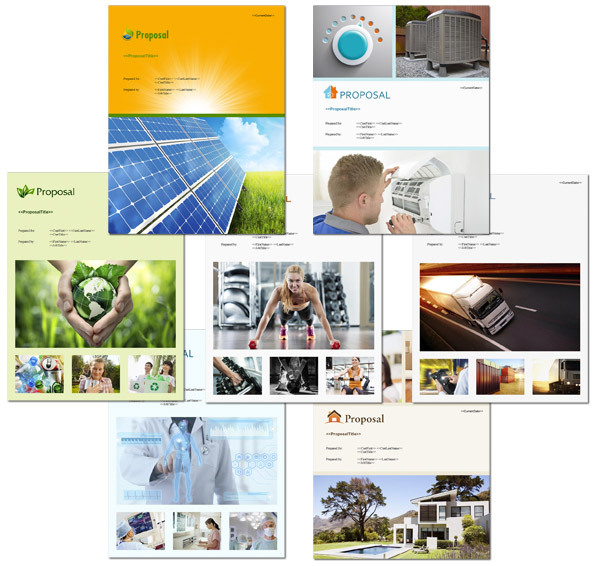 With a Proposal Pack you get one library of proposal templates, sample proposals and Novice Edition wizard software. Any one pack works for all types of proposals and all industries. I have already closed 2 deals with major international aerospace companies and have meetings all this week with new clients. I was so impressed by the results I upgraded to the professional proposal software version and was impressed even more." I would tell anyone to give the proposal software a try, it is worth every dollar. I recouped the cost of the proposal software back more than twenty times what it cost me. I am happy and my client is ecstatic." With a Contract Pack you get one library of legal contract templates and Novice Edition wizard software. Without you guys I would have lost countless site agreements." What I needed ended up being in the "Contract Pack" and I couldn't be happier. I'm already done with my contracts for the new business and it took about an hour."